Yellow split mung beans are praised in ayurvedic texts for their nutritional value and ease of digestion. See Amadea Morningstar and Urmila Desais bestseller book The Ayurvedic Cook Book to learn how to cook them deliciously. 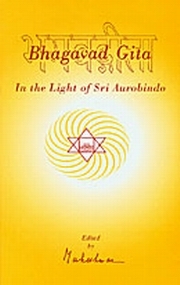 This book presents the original Sanskrit text of the Bhagavad Gita with verse by verse translation in English, followed by notes on them compiled from Sri Aurobindo's Essays on the Gita.